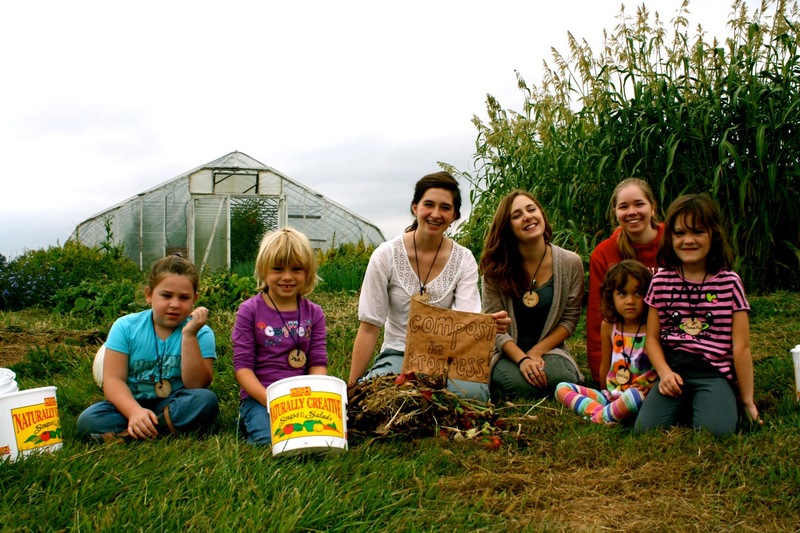 Did you know that the Dickinson College Farm has a hands on, experiential, youth education program called Sustainable Earth Education or SEED? The Dickinson College Farm is a 60-acre USDA Certified Organic living laboratory. Located just six miles from campus, the farm has more than 15 acres of vegetable production ground and 30 acres of animal pasture. The farm supports the academic interests of students and faculty, promotes renewable energy through a variety of innovative applications and builds a greater awareness about how food is generated using techniques that help sustain natural ecosystems. Through SEED, we aim to provide creative learning experiences to children’s groups in the community. In the past, we have worked with summer camps, Girl and Boy Scout troops as well as home school groups. We offer classes on a variety of topics ranging from compost, soil quality and plant life cycles to biodiversity, livestock management and beyond. Related topics such as nature, art and cooking are also available. Classes are taught by Dickinson Farm student educators and student volunteers! Parents and group leaders are welcome to participate, observe, take a self-guided tour of the farm or take a short drive into beautiful Boiling Springs. At the end of the program, children are invited to show parents what they’ve learned around the farm. To set up a class or ask any questions, please email farmcoordinator@dickinson.edu or call 717-254-8046. For planning purposes, interested groups are requested to sign up for a class at least a month before their desired date. Here’s the link to our questionnaire we ask all interested parties to fill out so that we can create the best class for your group. For pictures of our farm and previous events, follow Sustainable Earth Education and Dickinson College Farm on Facebook and Instagram. 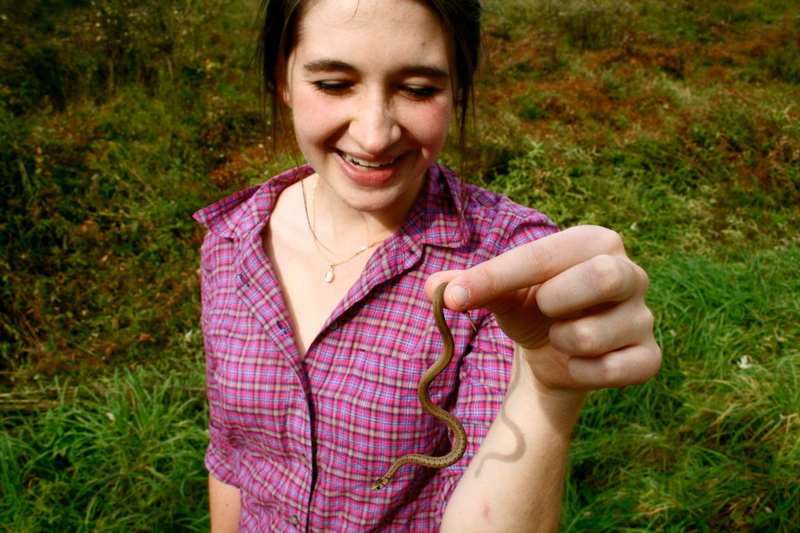 Lena Friedman is the farm’s youth educator in the Sustainable Earth Education (SEED) program. 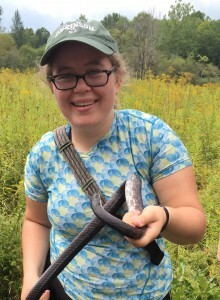 She is a member of the class of 2019, majoring in Environmental Science, and became involved in the Dickinson farm both through classwork and as an education volunteer. 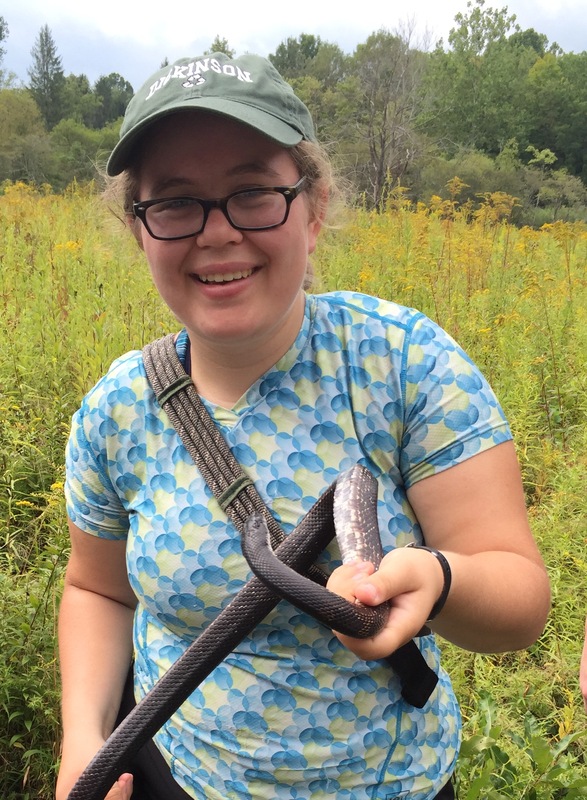 Lena also teaches art, natural history, and a variety of other topics at an experiential education camp during the summer. In her free time, Lena enjoys hiking, crocheting, and reading science fiction. Explore the sometimes slimy but always fun world of worms! We will investigate the insides of a worm, and use a microscope to check out what is in worm waste, also known as “castings.” Don’t miss this great opportunity to visit the farm’s worm shack, learn all about “vermicompost” and understand why red wiggling worms really are wonderful! Have you ever wondered what a farm would look like through the lens of a microscope? Join us on the farm to go on a “micro-safari.” We will collect specimens like veggies and insects to view under the microscope, prepare our own slides, and see the world in a new way! Can you name the five senses? Come out to the farm to discover some of the best sights, sounds, smells, tastes, and touches that the landscape has to offer! We could explore the herb garden with our noses, go on a scavenger hunt to search for hard to find veggies, touch wool, and taste some special farm treats. It’s a bird! It’s a plane! It’s Super Sun! Energy comes in many forms…you use energy everyday and so does our farm! Feel the power of the sun while learning all about the farm’s solar panels. Plus discover the difference between the farm’s tractors, dive into our warm greenhouses, and try a sun-baked snack from our solar oven! Come learn all about the farm’s big burrito-shaped biogas digester. Take a trip to the compost heap to collect some “fuel” and then watch as waste is turned into the farm’s famous “poopcorn!” Also check out the worm shack and learn how the farm replenishes the soil by re-using and recycling. Celebrate Winter! Explore the farm during its snowy hibernation and learn how to make a winter decoration with farm-grown and collected materials, then warm up inside a yurt with a toasty wood stove. Students will get the opportunity to explore the various parts of the Dickinson Farm through the lens of an artist! Their materials will range from paints, to chicken feathers, and even vegetables! Ever wonder what a farmer does? Students will explore the farm through its daily activities. They will get to talk to one of our student workers about the different jobs they do through interactive activities such as learning about compost, taking care of farm animals, and the growing cycle of plants! The Dickinson College Farm has cows, chickens, and sheep! Spend time outside learning about what each animal eats, where each animal lives, as well as activities using sheep wool and egg shells. and strong. Activities could include creating our own compost piles, examining dirt, and playing with worms! sheep’s wool and make their own butter! Check out the farm’s insect collection and discover which insects are pests and which are predators! We will make our own insect books and go on a scavenger hunt around the farm. Try some delicious “bug juice” for a snack! Children will learn about fall’s most colorful fruit by sampling apple varieties like Fuji and Honey Crisp and making art with apples. This workshop introduces children to the reasons that apples were important to Johnny Appleseed – and how rich soil helps them to grow. Activities such as painting gourds, making a leaf rubbing and creating a three-sisters garden using squash, corn and beans will be used to introduce children to Native American agricultural traditions and what happens to crops when the cold weather arrives. With all the gourds lying around why not decorate them? We will paint gourds, so bring your creativity! Make your very own Three Sisters Garden in any design or pattern you want by integrating squash, corn, and beans. Keep a piece of fall with you wherever you go by making a leaf rubbing. We will have fun while learning the different parts of the leaf. Children will make seasonal arts and crafts using nature gifts from the farm, sing winter songs to the farm before it goes into its winter-long hibernation and sample apple cider. Discover how the special sap that maple trees produce is turned into maple syrup and learn how bees make their honey. Collect fresh-laid eggs from the farm’s pasture-raised hens. We will see and taste the differences between our organic eggs and conventional eggs. Celebrate spring! We will plant new crops, make crafts out of recycled materials, and recreate a Maypole tradition.